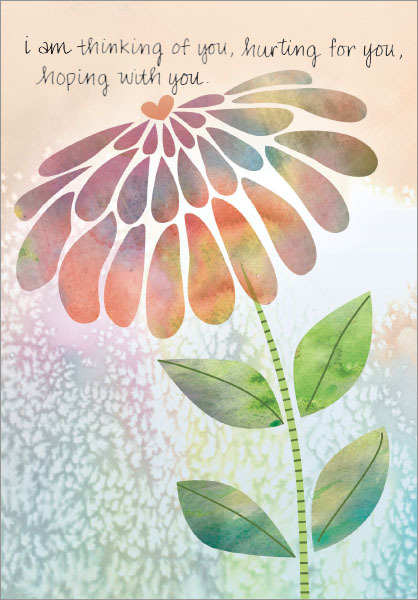 Gently let someone know you are there for them in their time of need with this soft pastel floral support card. Purchase a twelve pack and save today! Front: i am thinking of you, hurting for you, hoping with you. 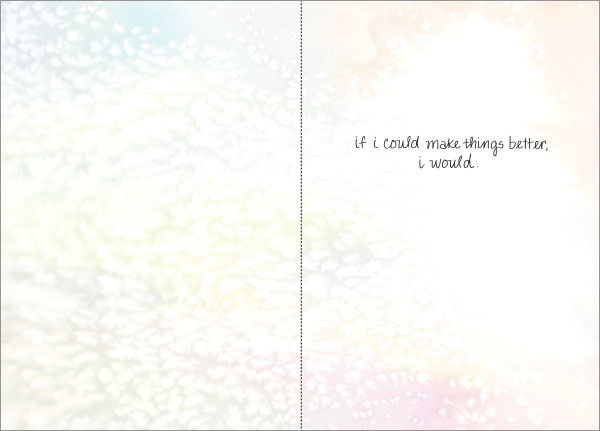 Inside: if i could make things better, I would.